This book is a featured text in Strategies that Work by Anne Goudvis and Stephanie Harvey. There are several copies available for checkout in room 301 if you’d like to see detailed lesson plans around this book. If I’m feeling particularly energetic, I’ll see if I can copy the passage from Strategies that Work and add it to the book bag. 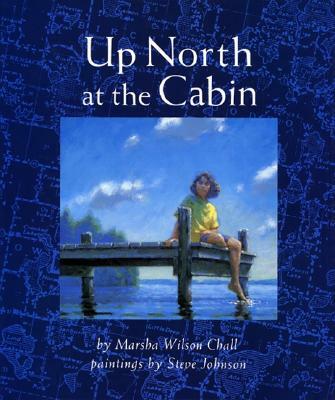 You can find a copy of this mentor text in the red “realistic fiction” bucket in the bookroom. Make a picture or mental image. There’s a lesson plan on visualization included in the book bag. Please return it, as this is the master copy. Compare and contrast within and between text. 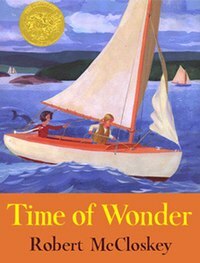 This would be a good time to introduce Time of Wonder, mentioned above. For contrast, you might want to try The Snowy Day, which takes place in an urban setting during the opposite season, and is perhaps a familiar text for students already. Increase stamina. This book works fine when broken into chunks, so it would be a nice fit for a lesson at the beginning of the year (or right after a break!) when you need to shorten your whole group lessons. This entry was posted in Book of the Week, Literacy, Read Alouds and tagged book of the week, books, literacy, mentor text, read aloud, reading, teacher resources, teaching by Shannon. Bookmark the permalink.